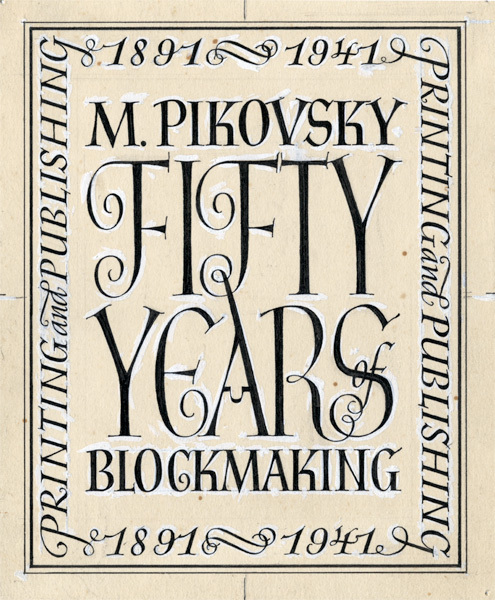 Artwork for stamp for M. Pikovsky Printing. English version. India ink on bristol board. 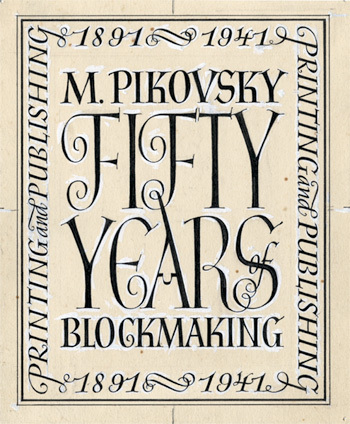 Stamp and letterhead for M. Pikovsky Printing.